CEDAR RAPIDS, Iowa, Jan. 17, 2019 /PRNewswire/ -- In line with its vision to redefine aerospace, Collins Aerospace has been selected by Lockheed Martin to provide avionics for the new X-59 Quiet Supersonic Technology (QueSST) aircraft. 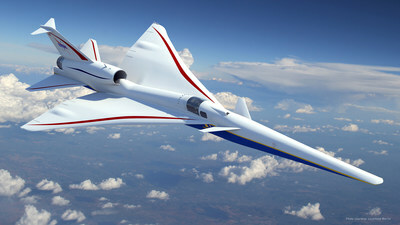 The X-59 is being developed by Lockheed Martin for NASA to collect data that could make supersonic commercial travel over land possible through low sonic boom technology. Collins Aerospace is a business unit of United Technologies Corp. (NYSE: UTX).